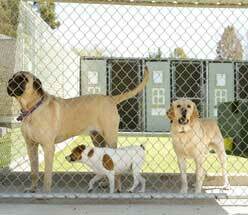 Commercial Kennels | Contact Hohulin Fence Today! 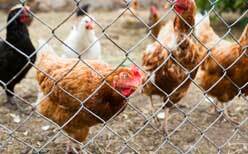 If your Central Illinois business provides care for domestic animals, they need space to roam free as well as protection from outdoor dangers. At Hohulin, we provide high quality commercial kennels. With over a century in the fencing industry, we know how important it is to have well built enclosure for your animals. That is why we use top-of-the-line materials to ensure a safe and secure environment, with numerous style options for animals of all sizes. For decades, Hohulin Fence has designed and installed countless commercial kennels—both large and small—for our Central Illinois customers. See what our professionals can do for your animals today! Choose Hohulin for Your Commercial Kennels Today! For over 100 years, Hohulin has been the trustworthy choice in fencing and related products. So whether you run a zoo, animal shelter, veterinarian clinic, or any other type of animal related business, choose Hohulin for your kennel needs. Got a question? Contact us online or call us at 309-316-1008 for your commercial kennels today!